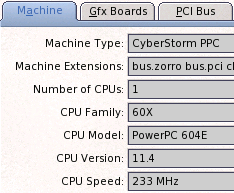 So, Toni (WinUAE developer), and Frode (FS-UAE developer), have collaborated to get QEMU’s PowerPC core code working. Their first release with the PPC JIT code was 2900b15. 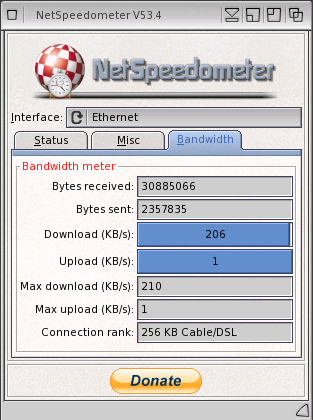 While I did download and test it, I didn’t see a huge speed increase. There was a marginal increase with my laptop and definitely much closer to the real NextGen hardware, it still didn’t feel like we were there yet. In the past few days, a new, beta 16 build had become available. To get the QEMU part working you, need a base qemu dll and several support files. Those can be found –> here <–. Unzip all the files into the same folder as the winuae.exe file. 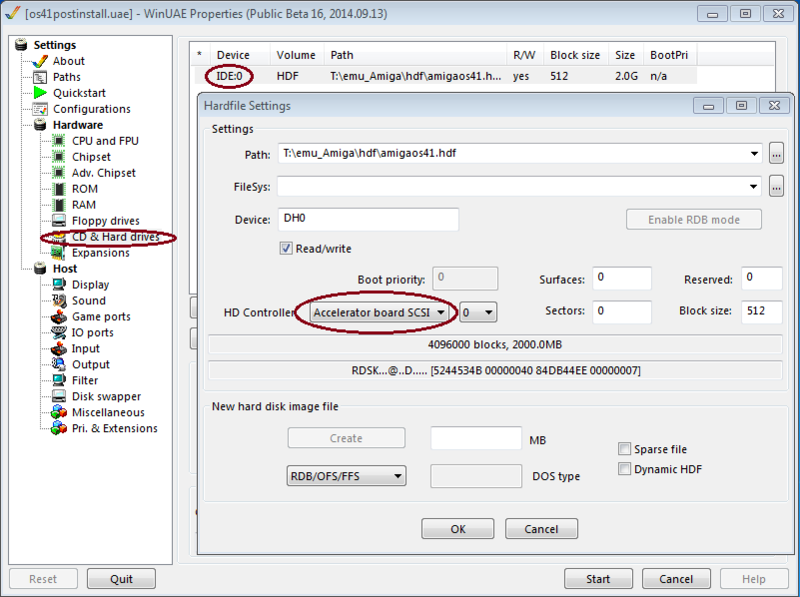 The first speed up comes from using a harddrive file (hdf) connected to the virtual accelerator SCSI connection. I used the previous install of OS4.1 to an HDF file but it was on the IDE connection. 1) in the WinUAE setup, click "CD & Hard Drives"
3) This brings up the Hardfile Settings window, change the controller to "Accelerator Board SCSI"
The next speed up is in the internal settings to interface with the QEMU PPC portion. It doesn’t seem to be something the user can set. Toni increased the size of the QEMU PPC JIT cache, which he said made a big speeed difference. I can say that it does! The SCSI change caused the OS to load faster under emulation than on either of my G3 AmigaOne computers. 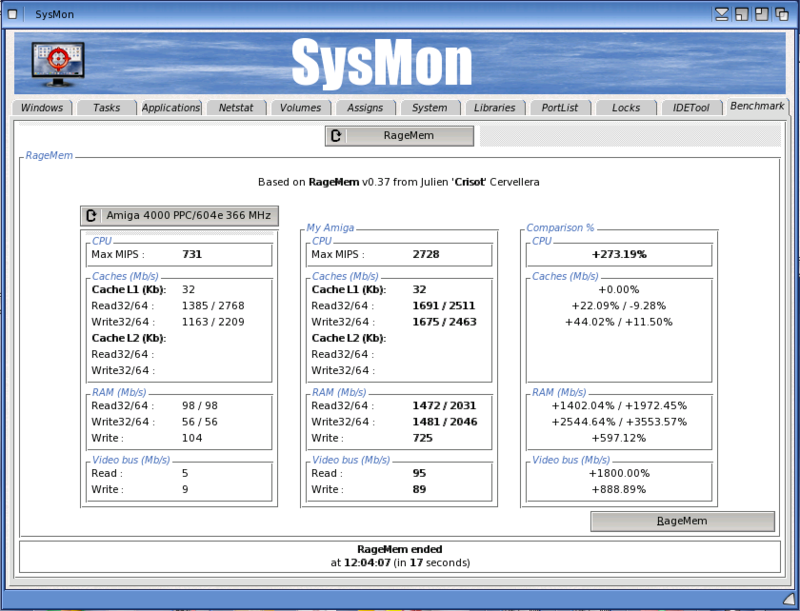 I then ran NetSurf PPC to download Sysmon to run some benchmarks (I’ll make another post later about setting up internet connection). I then ran the SDL benchmarks. In nearly every case, the Emulated environment was slower. Again, I’m very grateful to Toni and Frode and anyone else involved in this. I plan to build a dedicated PowerPC AmigaOS4.1 system based around this emulator. Pictures when it is done! This entry was posted in General, Hardware, Software and tagged benchmarks, powerpc, WinUAE. Bookmark the permalink. What hardware do you have? I think it would be more useful to know your hardware specs for comparison. Besides that it’s also a nice overview about the different amiga-alikes. I was doing that test on a 2011 Macbook Pro with an i7 2.0Ghz CPU.